The gender gap in the technology industry is huge. We support diversity and for this we create programs and activities with the aim of enhancing the visibility and participation of women in the technology sector through inspiring speakers and mentoring and networking activities. Different interactive and immersive areas where the latest technological innovations will be shown in Robotics, AR, MR, VR and XR. Conference spaces within the exhibition area with everything you need to give your presentation. It is the opportunity for open source communities and partners to have a presence in OpenExpo within a collaborative space that allows you to connect with your community, companies and means to discover and create new opportunities, stimulating innovation in order to establish communication and be the point of meeting. There will be group areas for International delegations or for companies that decide to participate with their partners. Do you want to show your services, give support to the startup community and join the leading companies in the sector? A hackathon usually lasts a day (can be 2 or more) and is a coding competition in which software programmers, developers, designers, marketers, or multidisciplinary groups whose objective is the collaborative development of software or technological solutions for a problem or challenge They come together to create and design projects. Hackathons are competitions or problem-solvers, but they are more than that, it is a learning process and a meeting of people with the same interests who want to build things. Do you want to organise a hackathon for your company? An excellent opportunity to solve important challenges of the company or the sector in general, thanks to the generation of ideas of people who are not in the day to day business activities so they can propose creative solutions and / or basic prototypes that after You can validate quickly in the market. Ideally, you should build your hackathon around a specific theme. From OpenExpo we can organise an ad hoc hackathon to your needs. Area for activities and experiences related to sports through simulators. A fun teaser of what technology can offer visitors. The Open Awards are back, the most important prizes of the open technologies sector! 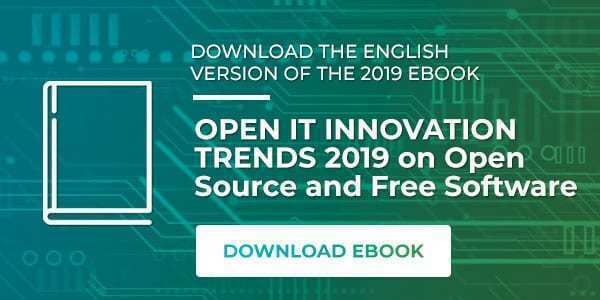 The sixth edition of these awards aims to publicly recognise companies, administrations, personalities and communities that create, support and promote great solutions with Open Source and Free Software technologies. The Open Awards rewards the open source projects and initiatives that have stood out the most during the last year, promote communication and the public notoriety of the companies, projects and administrations participating in the awards and value the work carried out by all of them. Exclusive space for exhibitors, VIP visitors, speakers and sponsors. Outdoor space with Food Trucks. Networking once the event ends with beers entertained with music groups.